In Xuriach, music and dance company, we have always focused on the dissemination of Renaissance and Baroque dance and music with particular interest in the Catalan and Iberian repertoire. As part of our project, and also as the beginning of the commemoration of the 10 years of the company, we have worked long and with great enthusiasm to create a multimedia CD and DVD, and other complementary material, so you can enjoy this fascinating sound, plastic and visual universe. We present our new CD and DVD “Sonau musichs, sonau…! 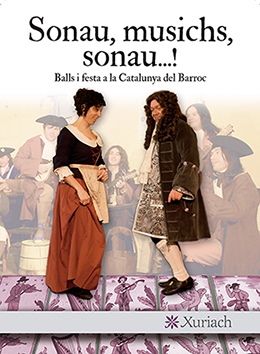 – Balls i festa a la Catalunya del Barroc”. 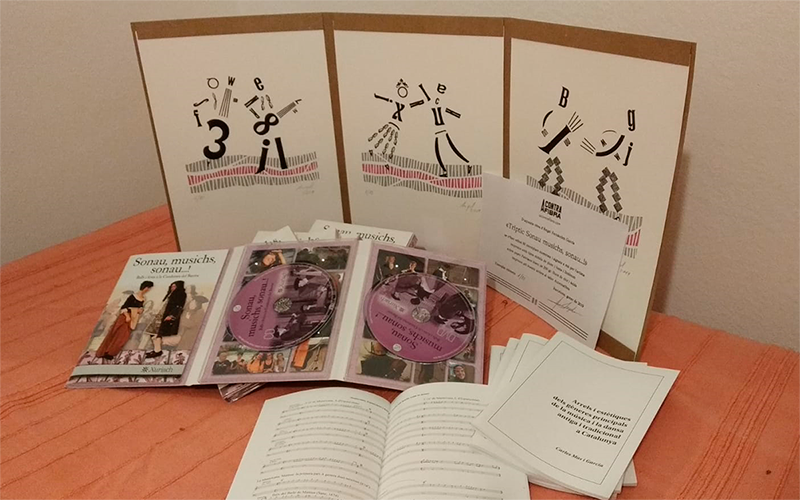 This CD and DVD, with recording and post-production by Enric Giné and Josep Maria Mayol, is presented in a libretto format with a very special edition, with graphic design and layout by Àngel Fernández (www.acontrafibra.com), and with the collaboration of the Museu de la Música and the support of the Dept. de Cultura de la Generalitat de Catalunya. 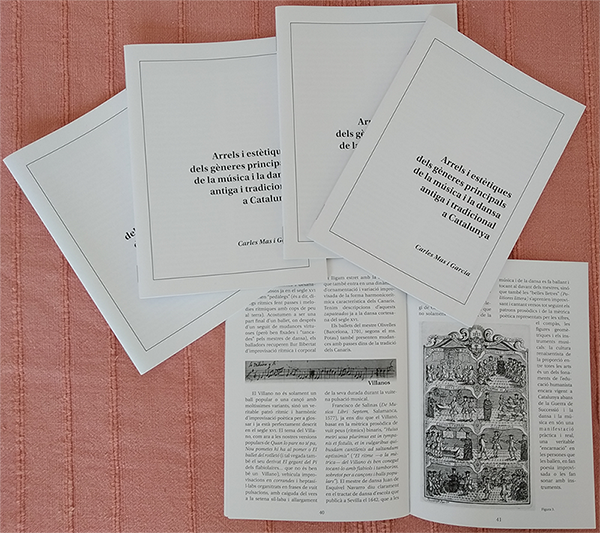 The libretto contains all kinds of informative material about music and dances, including iconographies, photos, references, credits and collaborations, acknowledgments, informative material, etc. in Catalan, Spanish and English. 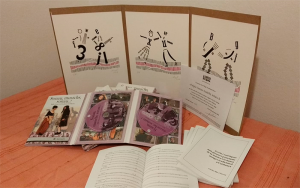 Together with the release of the CD / DVD, we have also published a libretto by Carles Mas i Garcia with the title “Arrels i estètiques dels gèneres principals de la música i la dansa antiga i tradicional a Catalunya”, which is the result of an investigation and reflection on the relationships, the differentiations and the supposed and mythical oppositions between the world of music called popular (folk) and cultured. 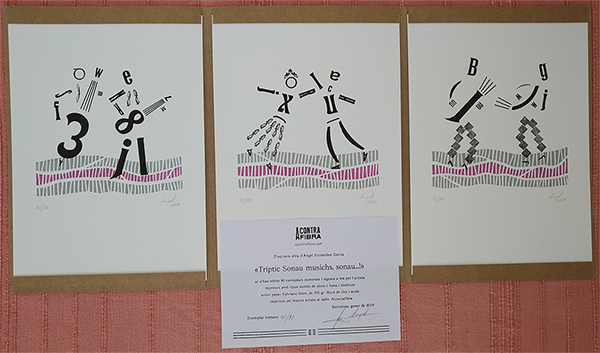 Also taking advantage of the edition of the CD / DVD, we have edited some collector’s prints of vintage art print, by Àngel Fernández (www.acontrafibra.com). With the following form you can request all these items by selecting each order box. The price to pay is the sum of the prices of the items and the shipping costs. We will contact you shortly by email with a confirmation email with the final price of the order, including the shipping costs and the payment will be made by deposit or bank transfer. Copyright © 2019 Xuriach. All Rights Reserved.